Liverpool went top of the Premier League – if only for a few hours – with an ultimately routine home win over Fulham that hinged on a controversial moment late in the first half. The visitors thought they had taken a shock lead when Aleksandar Mitrovic rose to head past Alisson in front of the Kop – but the goal was disallowed for a marginal and debatable offside, and within seconds Alisson had fed Trent Alexander-Arnold, whose long ball was collected and calmly slotted home by a comfortably onside Mo Salah. A beautifully controlled volley from the impressive Xherdan Shaqiri doubled Liverpool’s lead early in the second half; from there, there was no way back for a Fulham team whose manager Slavisa Jokanovic remains a man under serious pressure. Liverpool set up in a 4-2-3-1 in possession, with Georginio Wijnaldum and Fabinho as the deeper-lying central midfielders. Sadio Mane, Roberto Firmino and Xherdan Shaqiri operated as an attacking three behind lone striker Mo Salah. The hosts had a huge amount of possession (70 per cent) and had to try to break down an organised defensive Fulham block. 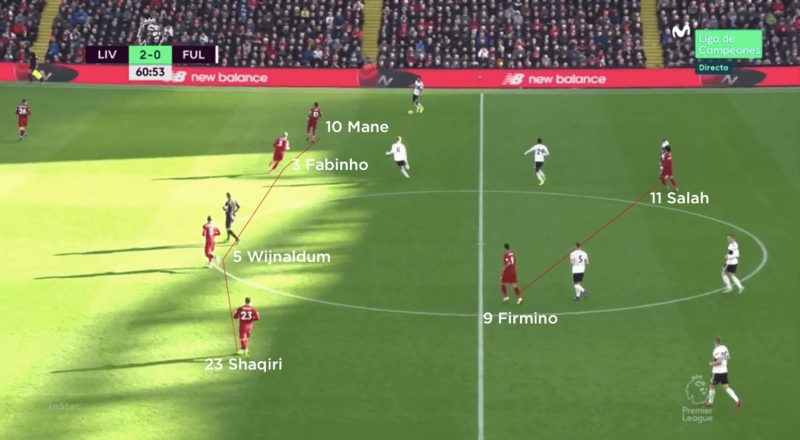 They tried to move individuals out of the Fulham block in order to create space through which they could penetrate; they did this by dropping Shaqiri, Mane and Firmino deep to try and drag individuals with them, but the space was still very limited. Liverpool also tried to utilise their full-backs high and wide in order to allow Mane and Shaqiri to play inside more often. When the full-backs pushed high, either Wijnaldum or Fabinho would take on a false full-back position to provide the balance and cover. 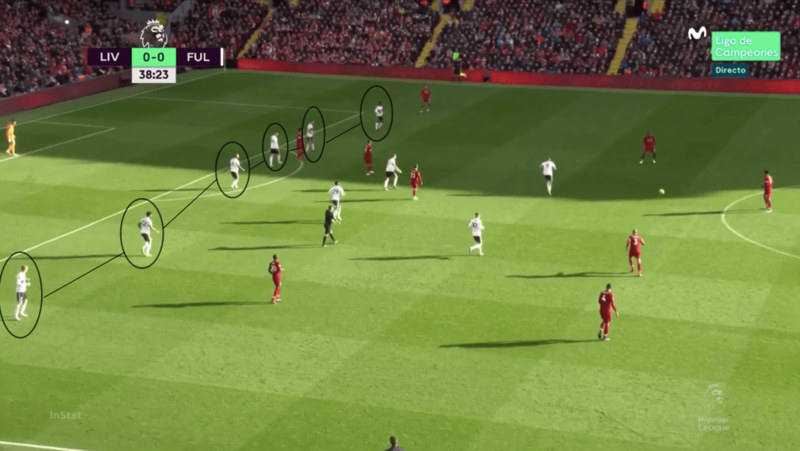 Sometimes, Liverpool would combine the two above strategies and drop their attacking midfielders deep as they played out wide to the full-backs; the attacking midfielder who had dropped would then make a run into the space behind the Fulham full-back on that side. This was difficult while the score remained 0-0, as the visitors were still compact and comfortable allowing space only behind their wide midfielders rather than the full-backs. 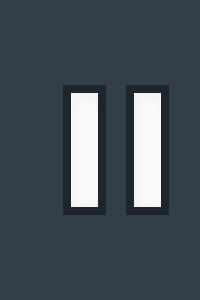 At 1-0, when Fulham had to come out more, the spaces became slightly greater. 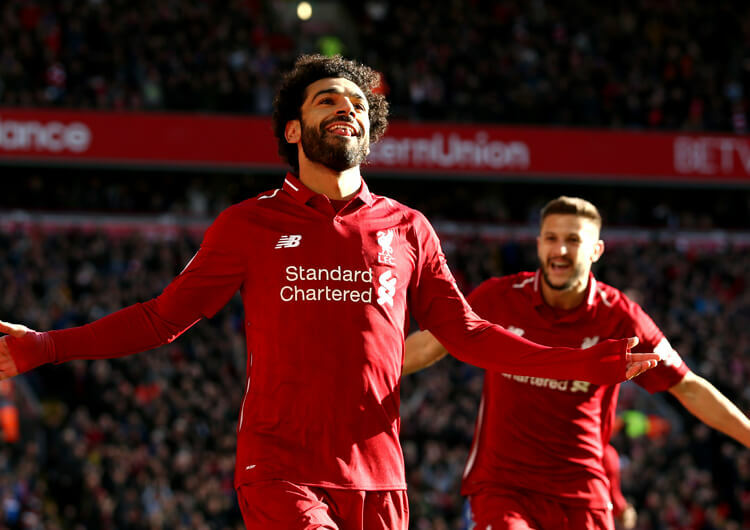 That said, both Liverpool goals came as a result of lapses in concentration rather than any particularly brilliant build-up, although goalkeeper Alisson showed good alertness in launching the move from which Salah opened the scoring 14 seconds after Aleksandar Mitrovic had a header disallowed in front of the Kop. Out of possession, Liverpool didn’t have a huge amount of work to do. 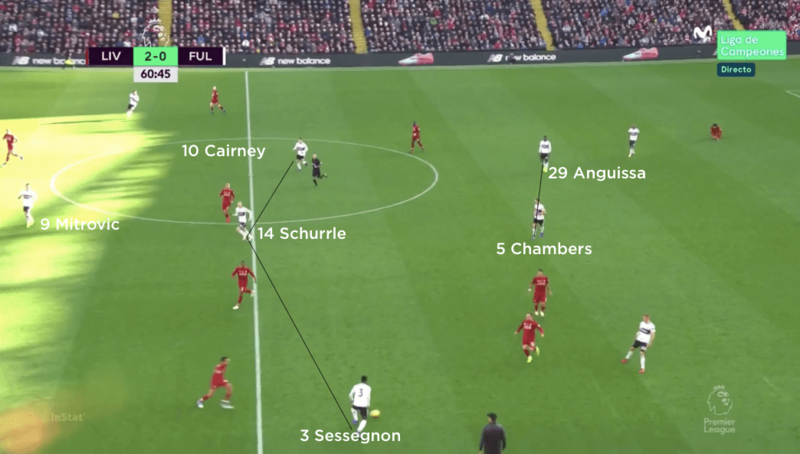 When Fulham looked to play out from the back, Salah and Firmino would stay central and occupy central midfielders Calum Chambers and Andre-Frank Zambo Anguissa, while Mane and Shaqiri would be on a slightly deeper and wider line. When Fulham played into their centre-backs, one of Mane or Shaqiri would go and press. In transition, Liverpool would look to counter-press immediately. 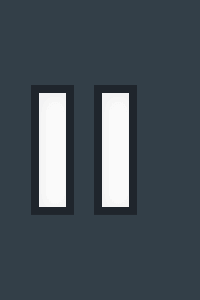 If this was broken, or if they had chosen not to press, they dropped into a 4-4-2 defensive shape. 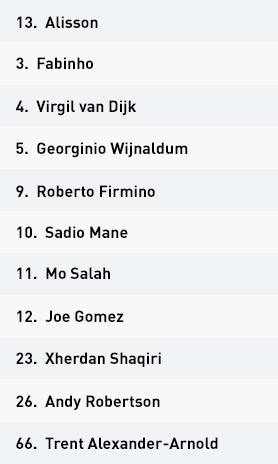 Mane and Shaqiri would tuck in alongside Fabinho and Wijnaldum to make the midfield line of four, while Firmino would join Salah on the top line. Liverpool’s central-defensive partnership of Joe Gomez and Virgil van Dijk had to deal with direct play to Mitrovic as Fulham’s primary attacking strategy, and then look to collect the second ball should the Fulham forward win it. This job also fell to central midfielders Wijnaldum and Fabinho, as Liverpool saw out the game relatively comfortably. Liverpool set up in a 4-2-3-1 formation in possession, with Georginio Wijnaldum and Fabinho in the deep central positions. Mo Salah started as the central striker, with Roberto Firmino behind him and Sadio Mane and Xherdan Shaqiri supporting from wide. Out of possession, Liverpool would either press high in a 4-2-2-2/4-2-4 structure, or drop into the 4-4-2 mid-block pictured here. Firmino would step higher to join Salah on the top line. 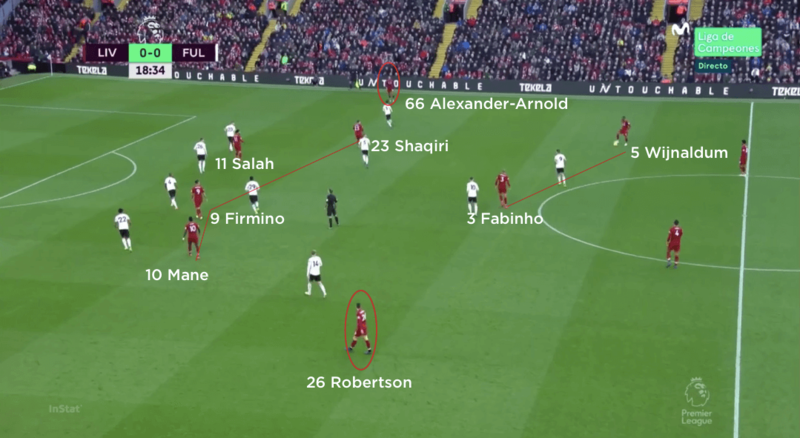 Liverpool would often drop their wide attacking midfielders deep and push their full-backs – in this case Andy Robertson – high and wide. This would then allow another attacking midfielder to run into the space as the Fulham full-back pressed wide. Fulham set up in a 4-2-3-1 shape in possession, with Andre Schurrle, Tom Cairney and Ryan Sessegnon behind lone striker Aleksandar Mitrovic. The visitors dropped into a 4-4-2 out of possession, with Cairney joining Mitrovic on the top line. They were happy to let the Liverpool centre-backs have the ball, but pressed when the hosts moved further up the pitch. Schurrle and Sessegnon were tasked with tracking Liverpool full-backs Andy Robertson and Trent Alexander-Arnold. 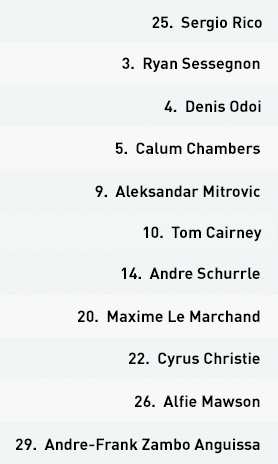 With both playing high, Fulham often ended up with six players on their deepest defensive line. 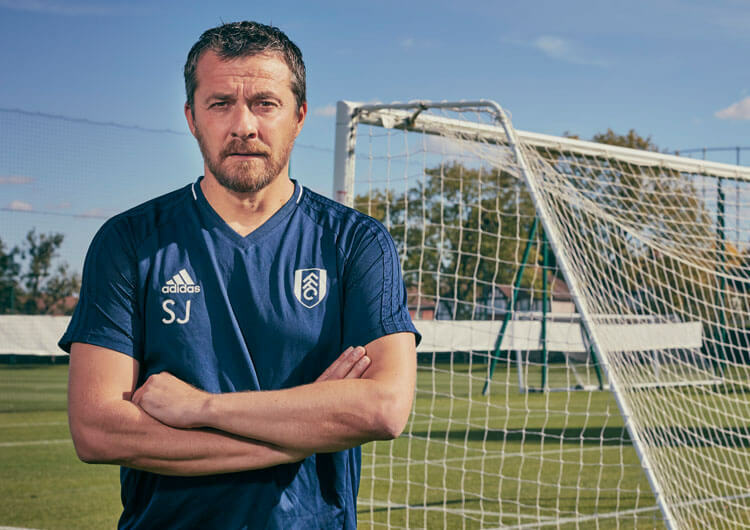 Fulham would try to send the ball directly to Mitrovic, who would try to flick the ball on for runners from deep – usually Sessegnon, as here – or bring it under control and set back to a teammate. 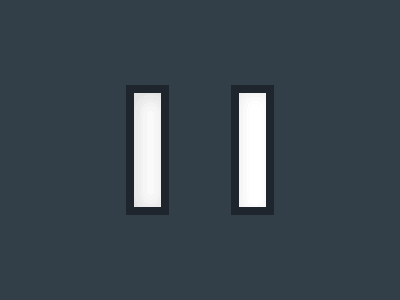 His impact was limited across the whole game, however. Fulham set up in a 4-2-3-1 shape in possession, with Andre-Frank Zambo Anguissa and Calum Chambers as the deep central midfielders. Andre Schurrle, Tom Cairney and Ryan Sessegnon supported Aleksandar Mitrovic in attack. The visitors had very limited time in possession and would generally look to send the ball long to Mitrovic whenever possible. 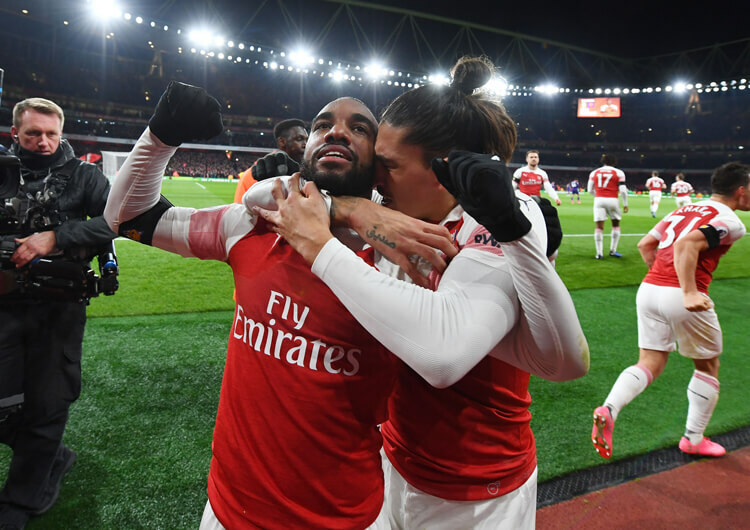 The Serbian striker would try to win the initial aerial duel and either bring others into play or flick the ball on for supporting runs from attacking teammates. They occasionally tried to play out from the back, but this generally ended with one of their centre-backs being put under immediate pressure and sending the ball long anyway. Fulham’s only other potential threat came from Ryan Sessegnon running in behind the Liverpool defence, but due to his role out of possession it was difficult for him to get involved quickly enough during transition. The visitors had such limited time in possession that there were few opportunities for Sessegnon to have an impact when they were trying to build. Out of possession, Fulham operated in a 4-4-2, with Sessegnon and Schurrle joining Anguissa and Chambers in the midfield line of four while Cairney played with Mitrovic on the top line. 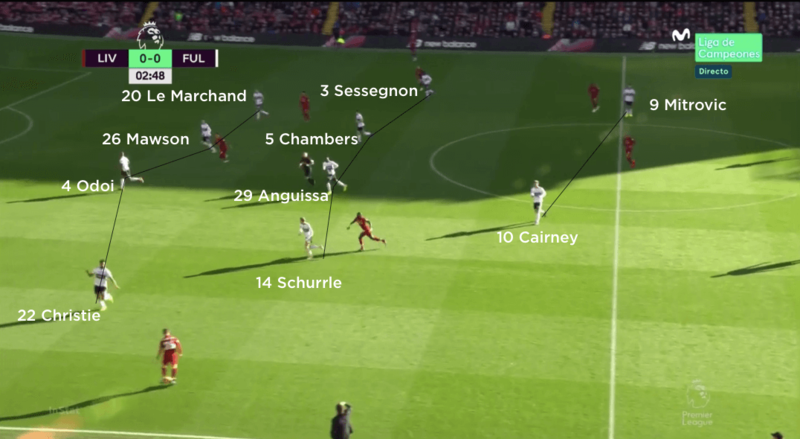 Sessegnon and Schurrle were expected to deal with Liverpool’s full-backs – but with Trent Alexander-Arnold and Andy Robertson playing so high, Fulham often had a line of six defenders on the deepest line of their block, in what was effectively a 6-2-2 out of possession. 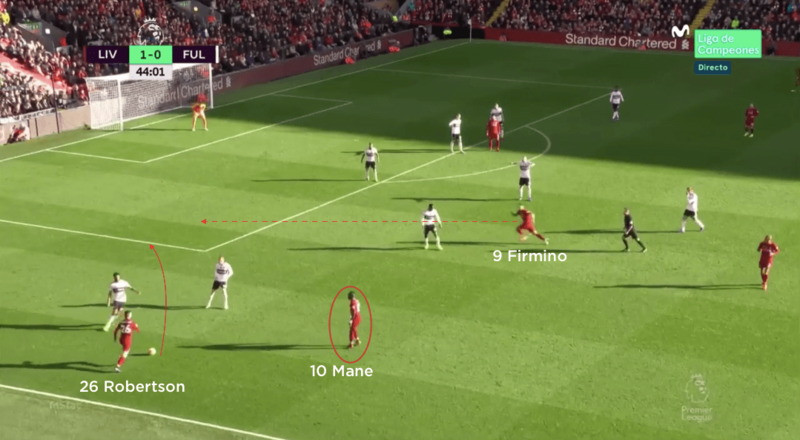 They tried to keep their back four as compact as possible in order to limit the space through which Liverpool’s attacking quartet could combine and run. 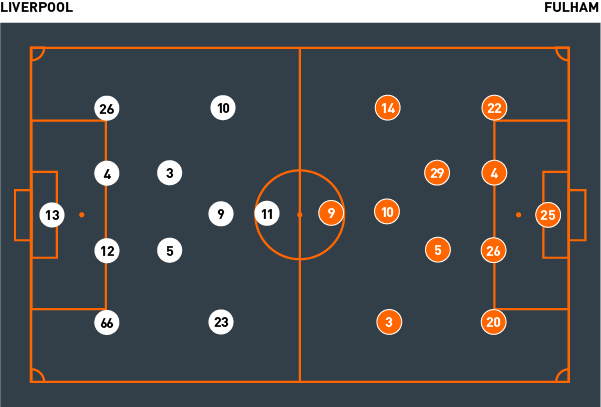 The front pairing of Cairney and Mitrovic were happy to let the Liverpool centre-backs – and even the full-backs, if they were deep enough – have the ball, as Fulham were more concerned with limiting space for Liverpool than going after the ball. The spaces increased after the first goal, as Fulham tried to be slightly more attacking – but they soon reverted to being as compact as possible, unwilling to allow the hosts more space even as they searched for an equaliser. Once Shaqiri had doubled the home side’s advantage early in the second half, the game was effectively over as a contest – leaving Fulham bottom of the league going into the international break.